Are There Any Wild Kangaroos in the US? 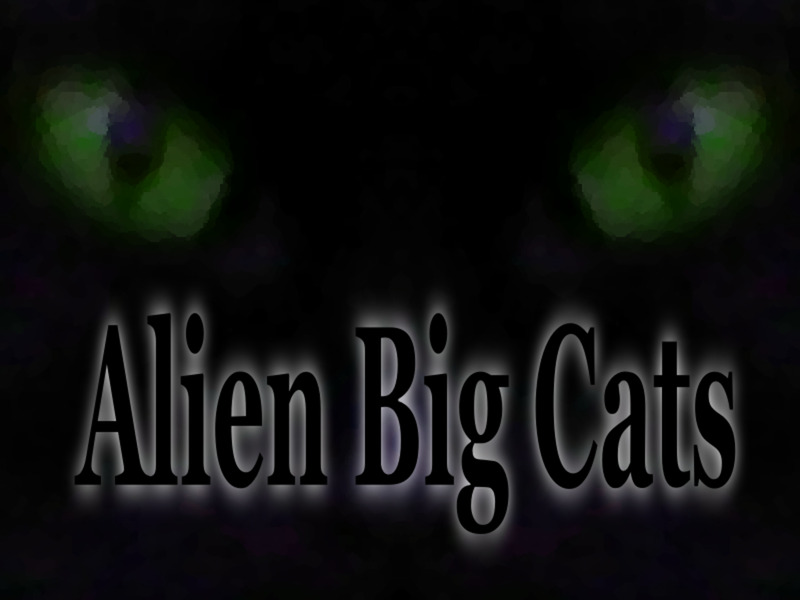 Phantom species are creatures reported to exist far out of their home ranges. Everybody knows kangaroos, those hippity-hopping things that carry their kids around in their pockets. They’re supposed to live in Australia, so why are people increasingly spotting them in North America? They’ve been dubbed Phantom or Errant Kangaroos, and these elusive marsupials have been documented around the United States for over a hundred years. What’s going on with these out-of-place animals, and can the sightings really be believed? With sprawling fields and farms it appears that rural America would be a great habitat for the kangaroo, especially the southwestern states that may more closely mimic their outback habitat in the wild. Large, non-indigenous animals have certainly gained a foothold in Australia, from camels to pigs and even possibly big cats. Is it possible the Land Down Under may be exporting some critters of their own? But some believe these cryptid kangaroos aren't Aussies at all, but instead a rare species yet to be classified by science. It seems like a stretch, but it’s not as bonkers as it might sound. Kangaroos and other marsupials all evolved from a common ancestor. And, in fact, there are still marsupials in the Americas today. Is it then unreasonable to think a species of kangaroo may have evolved in the Americas? And could these creatures maintain a small, obscure population out of sight of humans? Some cryptozoologists think the Phantom Kangaroo may be a new animal yet undiscovered by science. Wherever they came from, people have claimed sightings of cryptid kangaroos in America for decades. Errant kangaroos have been spotted in America dating back to 1899, from Minnesota to California to New Jersey to North Carolina. There are a few grainy pictures floating around, and even some police reports, but no animal living or dead has ever been recovered. Of course, the most popular explanation for sightings of wild kangaroos in North America is mistaken identity. Deer run rampant in many areas of the country, and they are of similar size. Deer do bear a vague resemblance to kangaroos from the neck up. Deer are also capable of rearing up on their back legs for very short periods of time, though to see one do so is rare. White tail jump and bound quite capably, but of course they don’t hop on their hind legs, and one would think it would be easy to spot the difference. Otherwise, there are few American animals we can logically confuse with a kangaroo. As large marsupials they are fairly unique to the world, and have no equivalent in North America. So, is it possible that Australian kangaroos have somehow managed to gain a foothold in America? Another possible cause of the sightings is Australian kangaroos that have escaped from zoos or private properties. There are several animal sanctuaries around the United States housing kangaroos, numerous zoos, and an unknown number of unlicensed owners. If these animals had escaped from private citizens who had owned them illegally it’s not likely they would be reported. Is it possible some of these animals have established a breeding population over the years? 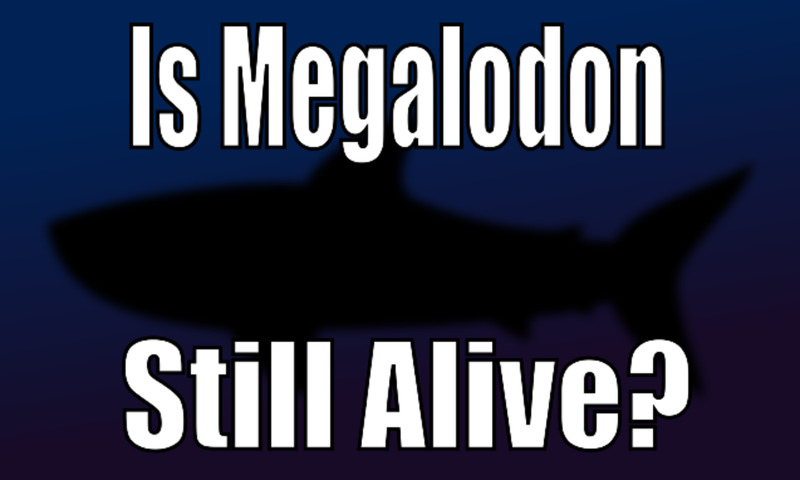 With no carcasses ever found, it seems unlikely that such a species could exist. 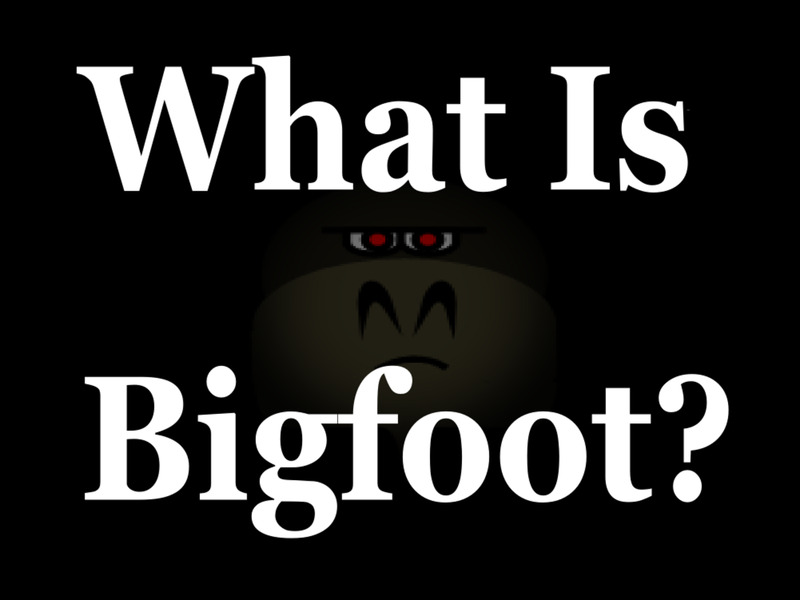 But, just as many believe there are reasons a Sasquatch body has never been found, there could be reasons. One interesting explanation for Phantom Kangaroos is that they represent a species of rare marsupial not yet classified by science. 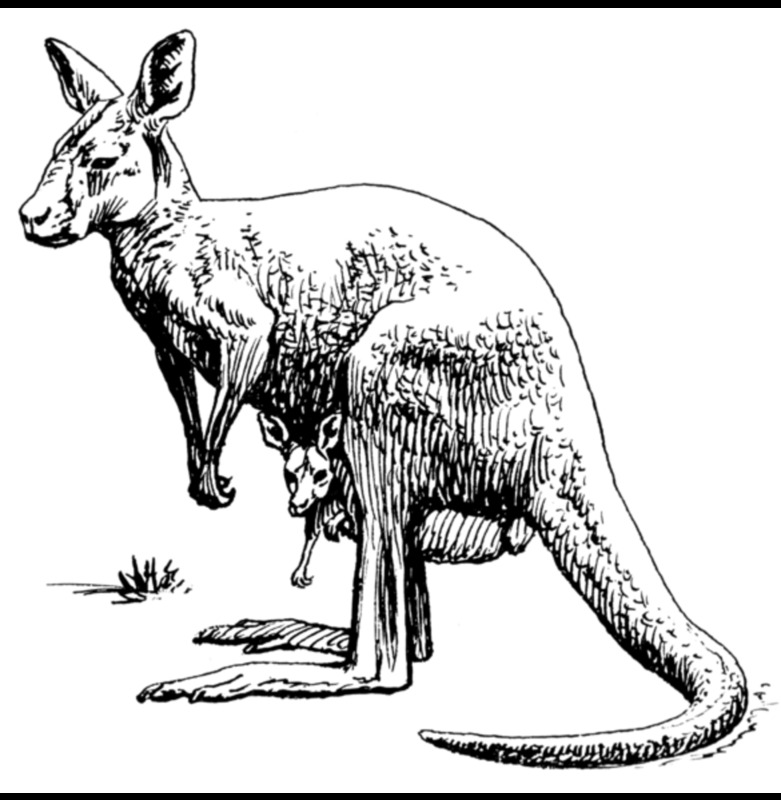 The North American Kangaroo, while biologically plausible, is a stretch. It’s tough to imagine an animal that thrives in fields elsewhere in the world would go undetected for so long in America. It is even harder to imagine one never getting shot by a hunter. 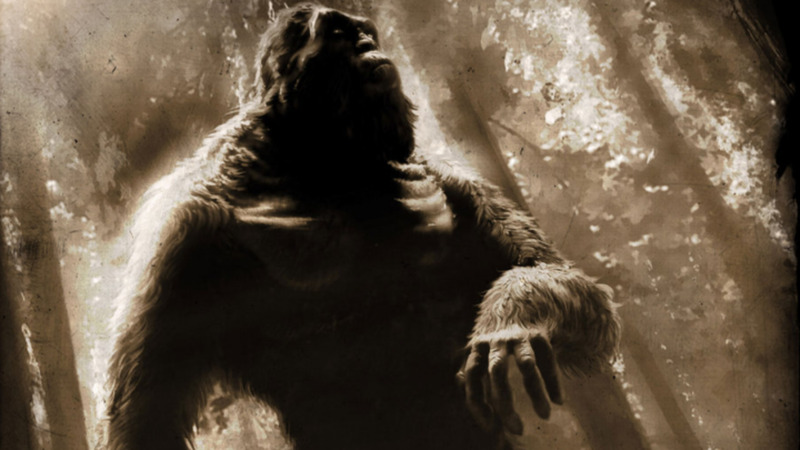 We could loosely argue that Bigfoot is an intelligent primate or human ancestor, and therefore able to somehow evade hunters, but that certainly isn't true for a marsupial. Could Kangaroos Survive in America? There are marsupials in the Americas, most notably South America. North America has the Opossum, but south of the Isthmus of Panama there are nearly a hundred species of marsupial, including sixty species of Opossum. In fact, Australian marsupials originated in South America, many millions of years ago when Australia, South America and Antarctica were connected. These days, there are tremendous differences between American and Australian marsupials. That is, except for an animal called the Monito del Monte. Strangely, this tiny critter shares more genetic similarities with Australian marsupials than its American cousins. It is apparently the only extant member of the family of marsupials that went on to colonize Australia. What does this mean for the American Kangaroo? Obviously this tiny animal wouldn't be mistaken for a kangaroo, even if it did somehow make its way to North America. It means the possibility exists for convergent evolution. This is when distant ancestors evolve similar traits despite their complete separation. So, if Nature decided this model worked in Australia, might Nature decide the same type of creature would evolve in America? Does this explain how there could be an extremely rare species of kangaroo in America? Unfortunately, there is another side to phantom kangaroo sightings that causes the whole idea to take an even more ridiculous turn. Ghostly kangaroos, creatures that attack people and feed on livestock, and beasts that appear to be crossbred creatures are reported alongside the reports of “normal” kangaroos. As though it’s not interesting enough for a population of wild kangaroos to live in North America, they sometimes get mixed up with less-realistic cryptids such as the Chupacabra or the Jersey Devil. 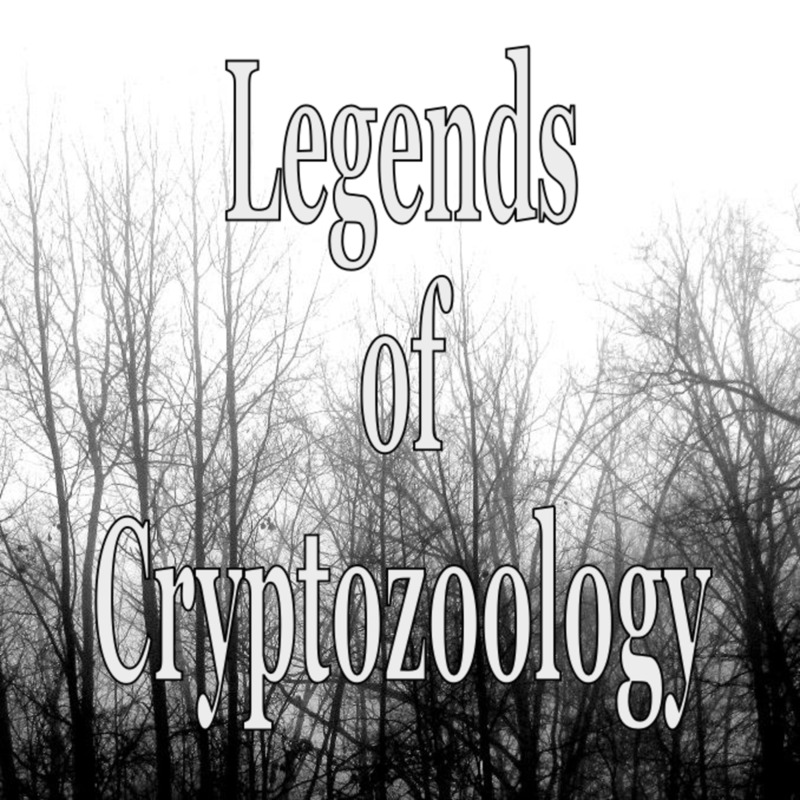 For serious cryptozoologists it’s important to separate the two types of sightings. And perhaps this strangeness can explain the lack of interest in the North American Kangaroo by the general public: It's just too darn weird. The cryptid kangaroo deserves more than a passing glance when it comes to research and public interest. Unfortunately there are far more interesting legendary creatures loose in the Americas that command attention. But it's easy to imagine that the first capture of a North American Kangaroo could stun the world, and turn science on its ear. Could there be a population of errant kangaroos living in North America? Why not? If there is a big, hairy hominid with giant feet running about, why not cryptid kangaroos as well? Or, there could be a much more mundane explanation. We see cases where errant big cat populations appear to have gained footholds in places like the United Kingdom and Australia. Generally, these animals are assumed to have escaped from private owners, perhaps over decades, and now have established a breeding population in the wild. Whether they are escaped pets or an undiscovered species, it’s fascinating to think that kangaroos might exist so far away from home. 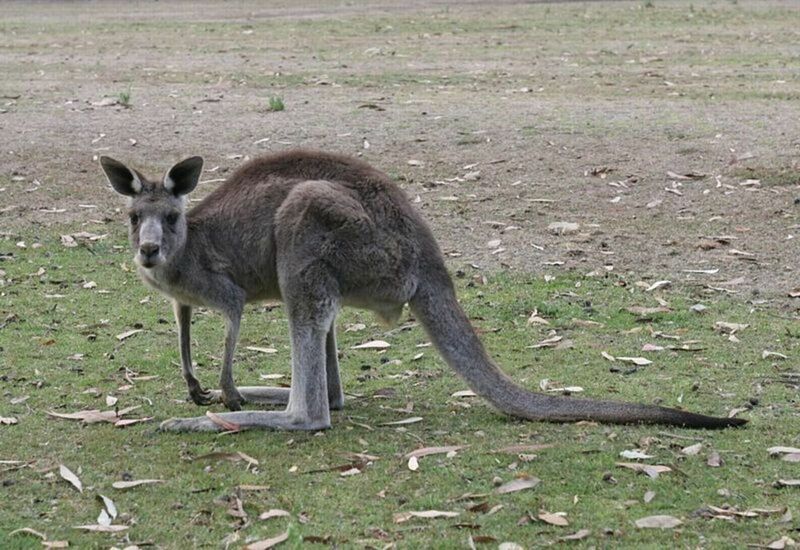 Reports of sightings will no doubt continue, and perhaps someday the North American Kangaroo will be a subject more for biologists rather than cryptozoologists. What Do You Think About Phantom Kangaroo Sightings? I think they're probably cases of mistaken identity. I think they're probably escaped pets or zoo animals. I think quite obviously there's an unknown species of kangaroo hopping around North America. I think people are nuts. Why am I even reading this? 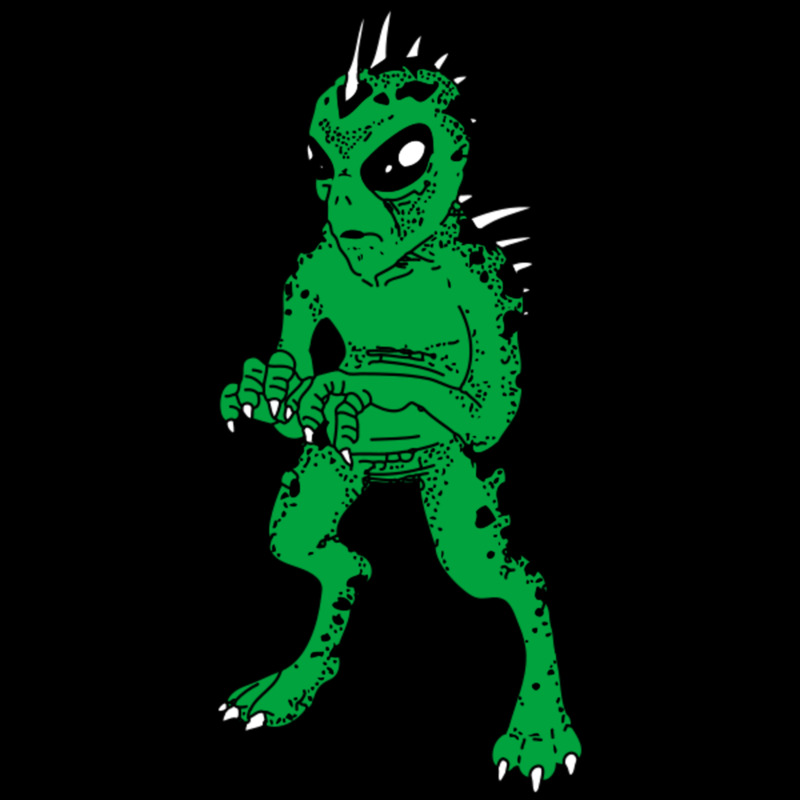 When I was a child, my Mother told us about the creature that hopped like a kangaroo and jumped over high fences and killed livestock when they were farming in SW Georgia, U.S. 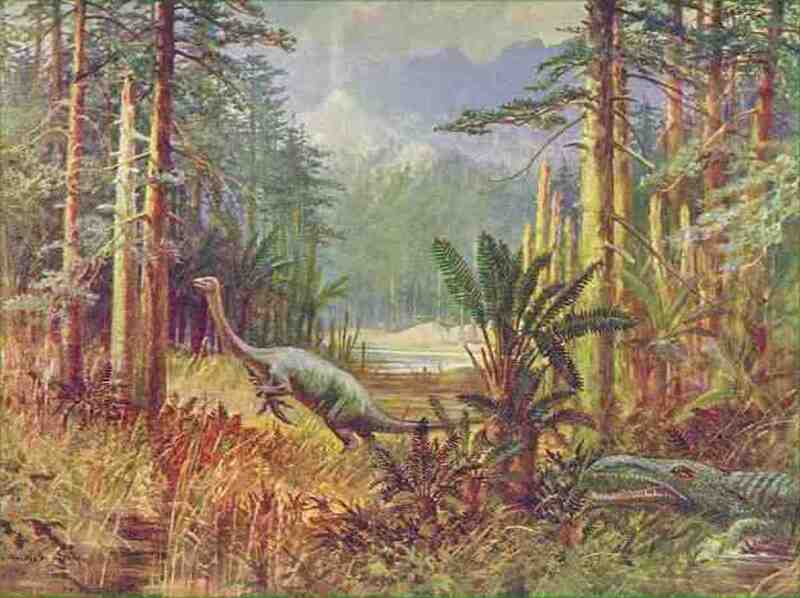 This was during the early 1900s. I live in New Brunswick, Canada and when i was 17, i was driving home with a friend and something ahead of us was standing on the road. We were about 200 meters away when we first saw it, and got very close to it before it hoped off the road and into the woods and to this day i know it looked like a kangaroo. we puled up to where it went into the woods but there was know sign, not even a foot print in the dirt. My friend told everyone and they all laughed and thought he was crazy, anyone who asked me if my friend was making it all up, I would tell them "I don't know what I say, but it had every appearance of a kangaroo everything." I seen the animal about 6 or 7 km from Grand Lake. As a child me and my friends always played in the woods, and for 16 years of working in the woods, I have never seen anything like the animal i seen that day, But i know what I seen and my friend seen it also. I have read some about these sightings but they are never this far north and that is what i don't understand, this is to cold of a climate i would think. 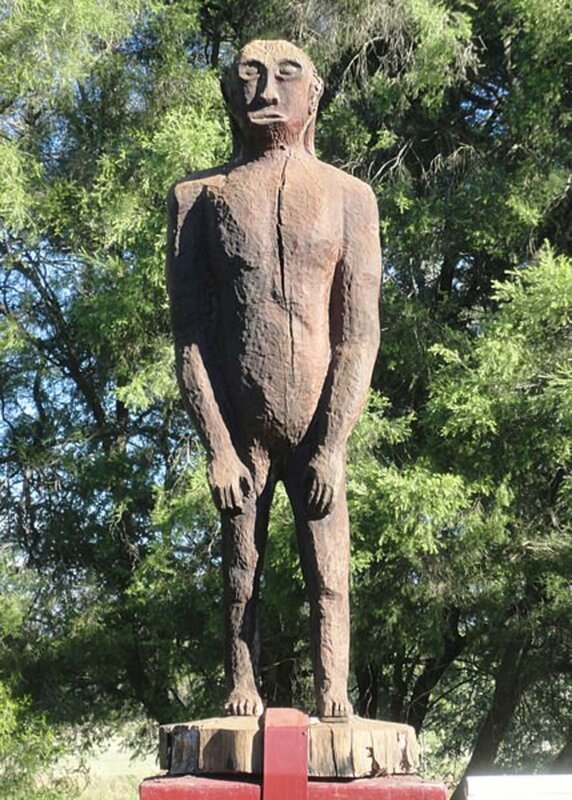 I don't know why I thought this just know, but i wonder if bigfoot prints people see in the woods are actually kangaroo prints, lol just a weird thought. 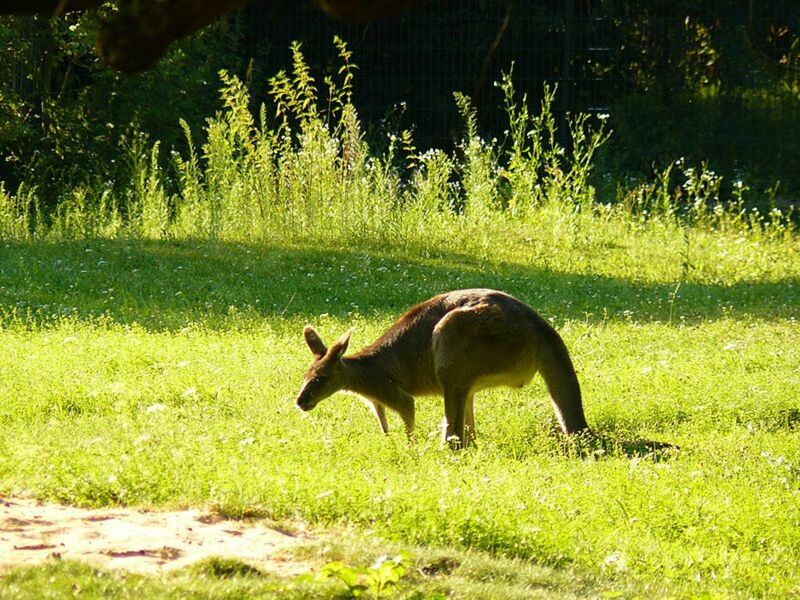 I am aware of two instances where farmed kangaroos in the US have escaped and maintained a foothold in the U.S. for several years... Also, Up to 150 wallabies are living wild in the forest of Rambouillet, near Paris, the descendants of a handful who escaped from a nearby zoo in the 1970s. There are several 'displaced' populations of wallabies and kangaroos across the UK, along with a couple in the U.S. I would love to see kangaroos in america! I imagine it would be easy for them to survive in the south! There are wallaby populations found within the UK, and kangaroos and wallabies are very similar creatures. Thanks kitty. I never heard of them either until I was doing research on something else a while back. I just had to learn more about these phantom Kangaroos! I'd never heard of phantom 'roos in the US...very interesting. I'm sure it's not out of the realm of possibility. Thanks for sharing with us. very interesting hub, rated interesting and up. Thanks Georgie. I've never seen one either, but there are probably all kinds of goofy things in this world that I have never seen! Interesting. I've never seen a kangaroo hopping around in the woods, but I guess that doesn't mean that they aren't there!